May 18, 2018 – Adobe, a global leader in the delivery of digital experiences through content and data has announced that it acquired Magento Commerce. 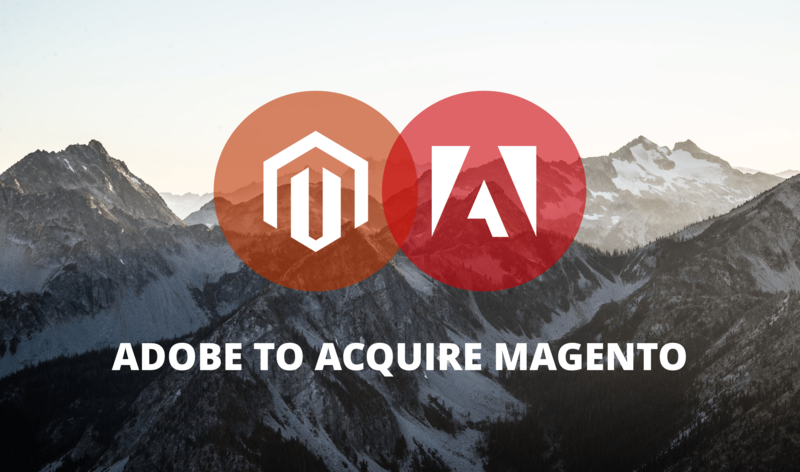 The acquisition of Magento is Adobe’s largest within the last decade. Adobe Systems is most notably recognized for its suite of creative products including: Adobe Flash, Photoshop, InDesign, Illustrator and Omniture. As a fully managed hosting services provider for the Magento platform, the JetRails Team is optimistic that under the Adobe umbrella, Magento ecommerce offerings will continue to evolve and grow. The added market reach and professionalism of the organization will add to the credibility of the already established ecommerce platform. The end users will ultimately benefit from the support and cloud offerings of the greater organization. The ecosystem of System Integrators and Service Providers will benefit from the wider capabilities of the platform that will result from this merger. We are excited to see this news and are optimistic about what the future holds. To learn more about the JetRails ecosystem and how our team creates Magento Success, please contact us.